The Logitech Z50 Multimedia Speaker in gray is ideal for smartphones, tablets, computers, MP3 players and any other device with a 3.5mm audio output. 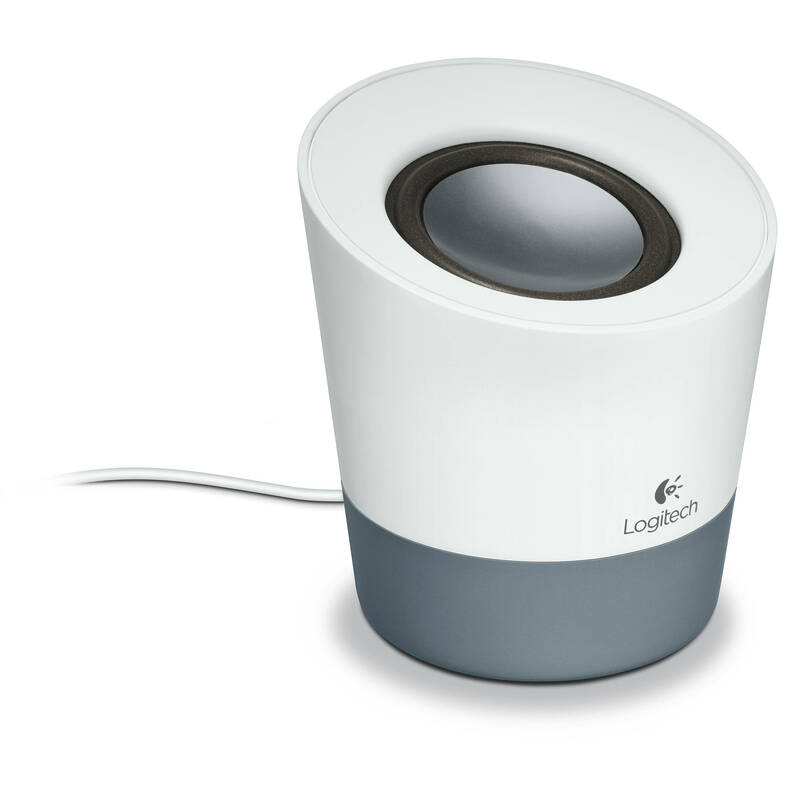 The speaker offers 10 watts of power and is easily portable with its compact design. Box Dimensions (LxWxH) 6.4 x 4.1 x 4.1"
Z50 Multimedia Speaker (Gray) is rated 4.3 out of 5 by 3. Rated 4 out of 5 by Leo Justi from Good deal, but... Bought one of these for my mum so she could listen to music from her laptop with some decent volume.I gave it a 4 instead of 3 cause price is great. This delivers volume and decent bass (the little thing it is). MAIN drawback is that it can't run powered by a USB port, you gotta plug in into a wall. So no use if you wanna use it with your laptop out in the park. Also no stereo of course.decent volume, good price, no stereo, no possibility to USB power it. Rated 5 out of 5 by Ronnie Alcorn from Simple speaker with AC power finally. It is getting more difficult to find simple speakers with AC power.? There are 10 million bluetooth speakers, USB power speakers, and it's gettingt difficult to find the AC powered line of speakers.? This little gem is very nice for how cheap it was. Rated 4 out of 5 by Nevada Trish from Great Vibes For Small Change This has great volume. It looks modern, and I like that it is one speaker which is flat on the bottom, which keeps it from tipping over like other speakers. I wish it had a volume dial on it. I have to go into my computer settings to adjust the volume, but what I was looking for was great sound for a small amount of money and in that respect it is well worth it.